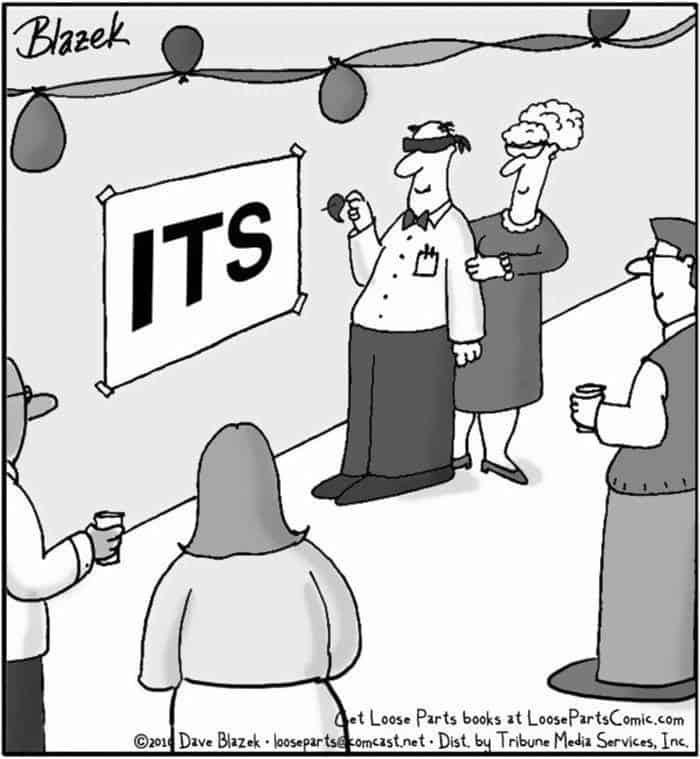 If you are a fellow word nerd, I’m sure you have a grammar pet peeve that makes you cringe every time you see it. For me, one of my bigger peeves (one that makes my skin crawl, teeth hurt, eyes twitch — you name it) is the misuse and abuse of the apostrophe. Have you ever received a Christmas letter in the mail with a return address label that says “Love, the Connolly’s”? Or seen a sign that reads “Coffee and Doughnut’s”? How about an email confirmation that “your shipment is on it’s way”? I’ve lamented about apostrophes before, but for some reason, I’ve noticed quite an uptick in their misuse lately. Thus… this blog post rant is simply necessary. Pretty simple, right? Oh, but how we humans like to mangle our grammar. 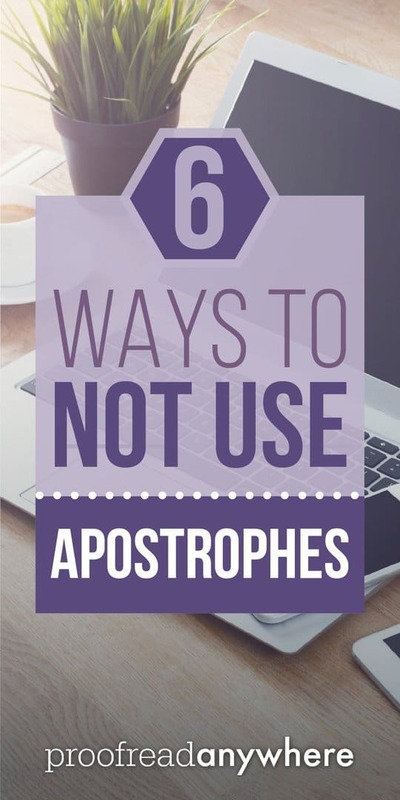 Commiserate with me as I discuss six ways to NOT use apostrophes. Misuse #1: Do NOT use an apostrophe + s to make nouns plural. This is one of the most rampant misuses of the apostrophe out there. When people want to make a word plural, for some reason they also want to tack on an apostrophe. An apostrophe shows possession. Incorrect: I eat pancake’s and vegan sausage’s almost every day. NOPE. The apostrophe + s indicates possession — and the pancakes and sausages aren’t possessing anything (except maybe lots of calories). Correct: I eat pancakes and vegan sausages almost every day. Incorrect: Apostrophe’s always confuse me. LOL. This one is just really wrong. Let’s correct it before I really start to twitch. Correct: Apostrophes always confuse me. Misuse #2: Do NOT use an apostrophe + s to make a proper name plural. Incorrect: Love from the Smith’s. Incorrect: The Jones’s are sending you well wishes for the holidays. It’s almost like people want to complicate things by adding an extra apostrophe in there. To make proper names plural, you either add an s or es. Add the s if the name ends in a consonant; add es if the name already ends in s.
Correct: Love from the Smiths. Correct: The Joneses are sending you well wishes for the holidays. Misuse #3: Do NOT use an apostrophe with possessive pronouns. It is never, ever appropriate to tack on an apostrophe + s with a possessive pronoun. You should never see your’s, her’s, their’s, etc. Incorrect: What’s your’s is mine, and what’s mine is your’s. Correct: What’s yours is mine, and what’s mine is yours. Here are two really popular mistakes I see all. the. time. Incorrect: I love how shiny it’s coat is. Incorrect: Who’s red pens are these? It’s is a contraction for it is. Who’s is a contraction for who is. My trick to know if you’re using the correct word: substitute the contraction for what it stands for. In this case, you wouldn’t say “I love how shiny it is coat is” or “Who is red pens are these?” So you know both contractions are incorrect. Correct: I love how shiny its coat is. Correct: Whose red pens are these? Misuse #4: Do NOT use an apostrophe in verbs. Incorrect: My brother always find’s fun things to do. Incorrect: Jane always see’s faces in the clouds. Written with apostrophes, the verbs appear like contractions. Similar to Misuse #3, you can substitute what the contraction stands for to see if it makes sense. In this case, “find is” and “see is” make zero sense in those sentences, so get those apostrophes outta there! Correct: My brother always finds fun things to do. Correct: Jane always sees faces in the clouds. Misuse #5: Do NOT use an apostrophe with noun-derived adjectives ending in s.
I can see how this one could be tempting for some. But alas, adding an apostrophe is still no bueno. Incorrect: The Texas’ sunrise is a sight to behold. Incorrect: I like those Christmas’ decorations. Correct: The Texas sunrise is a sight to behold. Correct: I like those Christmas decorations. Misuse #6: Do NOT use an apostrophe in numbers and abbreviations that are plural but not possessive. Incorrect: I was born in the 1990’s. Incorrect: I have two BA’s and three PhD’s. Adding apostrophes here makes the sentences look clunky and less readable. When in doubt, take ’em out! Correct: I was born in the 1990s. Correct: I have two BAs and three PhDs. I love sharing my word nerdiness with you guys! Not many people out there get as hot and bothered as we do about grammar, so it’s fun to nerd out about things like apostrophes. We could use a few more of us in the world, yeah?! 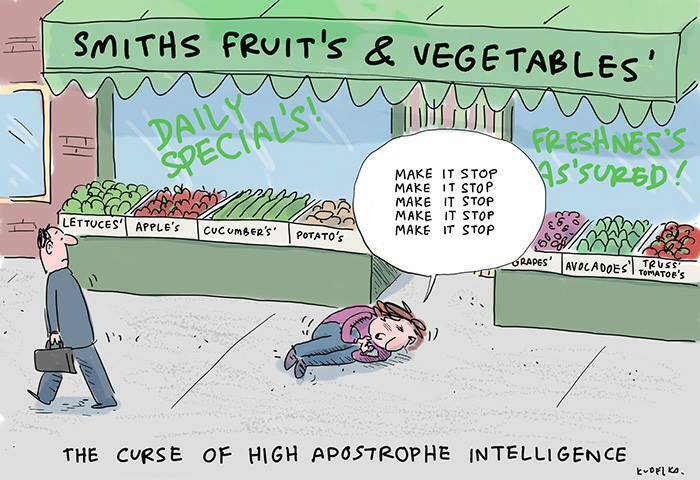 If you want to learn even more about apostrophes and other grammar-related fun, be sure to check out my FREE 45-minute workshop. 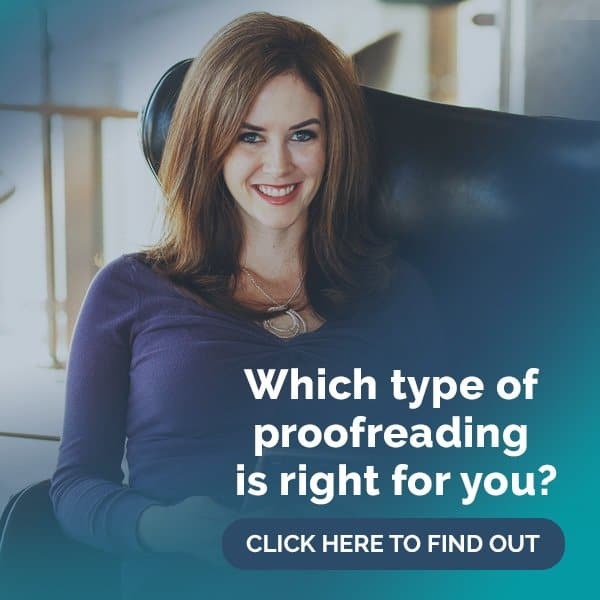 You can use those grammar skillz to start your own freelance proofreading hustle! I do not like the use of the word “ain’t”…I do not use it when I speak with people, and never in writing. I like to speak like I have been educated, and I feel the use of that word, (and many others, actually) just takes away from that. Lol! 🙂 Sometimes I actually use “ain’t” in my writing… it is always clear that it’s for emphasis, though. This is perfect! I just did terribly on the apostrophe worksheet and was worried. Thank you for your perfect timing! One of my biggest pet peeves is the misspelling of the word “y’all.” What reason would you have for spelling it “ya’ll”? I even received an email from AC Moore with it spelled that way. I almost sent back a reply offering my proofreading services. I rarely correct posts on FB (who has that kind of time? ), but that is one of the few things that I just HAVE to speak up about. Drives me crazy! Y’all is a contraction for you all. Ya’ll is a contraction for ya all. (Arguably not a word unless you live in Texas). Actually, Candi Harris is correct. I was born and raised in Texas and have been called the “Grammar Nazi” most of my life. “Ya’ll” is nothing short of ignorant bad grammar! I can not stand that! As a lawyer in a former life, it drives me crazy to see judgment spelled “judgement”. I see that error in even the most polished pieces. I used to live on Judgement Street in a town in Wisconsin. Pet peeve? “Here’s 6…” which should be “Here’re 6” because 6 is plural. 🙂 You pretty much covered the other ones. Maybe there are just too many apostrophes in the world and they insert themselves in random places all on their own! Seems that way sometimes. Yes! Apostrophe disasters are the worst. Our village has a professionally printed sign at the park that reads, “Park close’s at dusk.” Ugh. Thanks for the fun post! I would have to say that my biggest pet peeve is that SO MANY people–in high-level positions–are clueless when it comes to grammar and punctuation. I know I’m probably extra sensitive to it because I am in the middle of the course and my inner nerd has been reawakened, but it just amazes me the errors that I see in prominent places (like billboards and marketing materials). Thanks, again, for the post! LOL @ “breath’s” — yeah… bad grammar does make a “higher up” look way less competent, doesn’t it?! Oh yes! I hate that one! I’ve just finished a book that often spoke of her “parent’s house”. There were 2 parents there!!!! Oh man, that one gets my goat too! Not meaning to hog this post, but I have so many grammar pet peeves. “Him and me are going to the movies.” Double wrong. I’ve always been taught, remove one of the pronouns and see if the sentence still makes sense. That was going to be my post! I cannot understand starting a sentence with an objective pronoun! Yes, subjective and objective pronouns used incorrectly is my pet peeve, too. Also, using subjective pronouns in prepositional phrases drive me crazy. I correct those aloud when I hear them which drives my husband nuts. Too bad for him! If you don’t hurry, your going to be late. Corrected: If you don’t hurry, you’re going to be late. Thanks for the apostrophe schooling. That was fun to read and laugh over. I have so many pet peeves. My two biggest ones aren’t very common (mostly because I’ve been numbed to the rest through daily exposure). I HATE when people say “for all intensive purposes”. That makes NO sense whatsoever. Also, “irregardless” is NOT a word! And it just showed up in my predictive text! Why?!! Mine? Less and Fewer. I’m pretty sure I am responsible for the correction in the Trop50 commercials. The used to day “50 percent less calories” they re-dubbed to say “50 percent fewer calories.” I did a happy grammar nerd dance! I used to yell at the TV when that commercial played!! LOL! Definitely misspelled words! They definitely make me cringe. In this world of spell check now you think it would be easier. No such luck for some. Thanks for the clarifications. I believe that your point in the 2nd example about the passive voice is incorrect. I believe it is a nominalization instead, an active verb, to wish well, turned into a noun, well wishes. If it was passive, it would say: Well wishes for the holidays are being sent by the Joneses. When someone asks, “How are you?” and the respondent replies, “I’m good.” I’m WELL is the grammatically correct response. Make me cringe every time!! Apostrophes are what send me over the edge. I don’t know exactly when or how it happened, but now people use them liberally, indiscriminately, and completely inconsistently. Just throw one in anytime, anywhere. So I think it’s now time to open up the membership in the A.S.P.C.A. (the American Society for the Prevention of Cruelty to the Apostrophe). For years I’ve been the only member, But now I know I’m not alone. I just saw one at the farmer’s market today near my home. Hilarious right? I see these everywhere I go. I absolutely abhor the inexplicable misuse of two trios: “there, their, they’re” and “insure, ensure, assure”. Their correct use should have been taught in elementary school. I completely fail to understand how someone educated in our school systems could reach the level of a college graduate and still not understand the basics of English grammar. My biggest pet peeve about apostrophe is its and it’s. Do NOT add an apostrophe when you write The cat licked its paws. Remember, it’s is short for it is. I’ve noticed this in published books as well, and it just makes me cringe. Recently, the thing I hate most is when someone mixes up “Worse” and “Worst.” Or if they use one of the two as the same thing. My biggest grammar pet peeve is the whole “me, myself and I” problem. It’s ok to say the word “me”!! Example: “Here is a picture of me in front of the Empire State Building.” It cracks me up how many people go out of their way to avoid writing the word “me” at all costs! Gee, how come it doesn’t say “Notify myself of follow-up comments….” ?? LOL! Oh, YES — big one. “Dad went with my sister and I to the park.” !!!!!!!! RRRAAAAWWWWRRR!!! This is definitely my biggest pet peeve. Drives me crazy! I’ve been guilty of the last one. Misspelled words-DH spells biscuits as “bisquits” on the shopping list every single time. Had a good laugh today when we received a post card from his sister, who also spelled it the same way( and she is a teacher) lol! My biggest grammar pet peeve is the use of the words “bring” and “take”. I was taught that you use bring when something is coming to you, and take when something is going away. But I hear those two words used in the opposite way now more often than correctly. This is over the last 5 or 10 years. Someone at home saying they’ll bring the kids to school is the best example. This drives me crazy! Does nobody else notice this? It drives me batty that my phone’s predictive text/autocorrect doesn’t seem to know what to do with possessive apostrophes. I can, through repeated use, train it to understand the singular, but plural possessive (such as boys’) is just too much. If we are going to mention non-apostrophe peeves, how about the new fad of using “literally” to mean “figuratively”? “I literally died right there.” Gosh, then how are you able to tell the story?!? Or what has now apparently become an accepted business phrase, to use “out of pocket” to mean unavailable instead of meaning that you had to spend money on something. Argh! HAHA! That is too funny… I guess “figuratively” has too many syllables!? Hey Caitlin. My “pet peeve” is with the word you’re & your.. I always see these 2 words misused. Almost always I see you’re & your improperly used. For instance, they type your welcome instead of you’re welcome. I love this post. My biggest pet peeves are people who mix up “you’re” and “your” or “there” “they’re” and “their.” That drives me crazy. I am late to this game, but HOO-BABY YEAH!!! on the apostrophe nightmare!!!! Guuuuurl!!!! Preach it!!! I used to work in the news industry and you would not believe the mistakes I saw, of the apostrophe variety or otherwise. They were THE BANE OF MY EXISTENCE (the apostrophe mistakes). Luckily, the vast majority of them were in the spoken copy, not in the graphics you see like lower-thirds and full-screen graphics. But sometimes those apostrophe mistakes did creep into the on-air graphics, and oh, how it made me cringe!! I did my best to stop them from hitting air … but alas, it was an exhausting task. 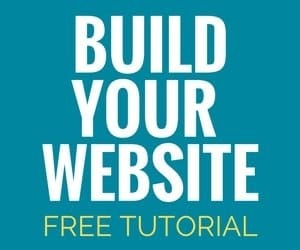 How about the link in the email that left the “to” out of “How not to use apostrophes”? And how about splitting the infinitive “to use” in the huge headline beginning the post?. 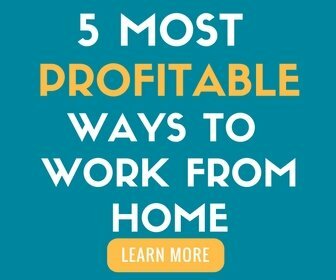 It should be 6 Ways Not to Use Apostrophes, shouldn’t it? Great catch! We will get that wording on the link fixed. Let’s face it ladies, if it weren’t for all these poeople with poor grammar and punctuation problems, we would NOT have job opportunities! Think about every situation in a positive way. Yes, these are annoying mistakes, BUT, SOMEONE HAS TO FIX THEM! Fingers move faster than my brain! One of my biggest peeves is the incorrect use of “myself” in sentences such as “If you have an questilns, please ask myself or Brenda.” Grrrr! I work for a recognized global corporation and that bothers me to no end when people write or say that- even management. I am constantly biting my tongue! I cannot stand it when I hear someone say ‘these ones’. It’s these – not these ones! Yikes! It’s like nails on a chalkboard. I notice a lot of stuff, but I have learned not to care so much about someone’s grammar that I don’t notice the value of what they have to say. However, one thing that gets me every time is when people misspell a word, and the way it’s misspelled causes it to actually form a different word from what was intended. One example I’ve run into often is “soldier” vs “solider”. Saying “The solider marched through the city” is completely different from saying “The soldier marched through the city.” Or, “The dog got a new color” vs “The dog got a new collar.” That kind of thing annoys me, because although a lot of misspellings are annoying, you can still understand what the person meant, but in some cases like this, I’ve been genuinely confused by the sentence until I realized what word the person meant to use. Now, on the flip side, I have a tendency to use British spellings for a lot of words even though I myself am an American. For example, I use the British spellings for saviour, neighbour, and behaviour. There are times when spell check will tell me I misspelled something, when really I was just using the British version instead of the American version. I am fairly certain the reason I do this is because my father used to read to me from the King James Version of the Bible when I was younger, and I became accustomed to seeing those words spelled that way, so I copied that spelling. These are all cringeworthy! Something that’s been driving me crazy lately is Random and unnecessary Capitalization! One of my pet peeves is the habitual use of loose for lose. It drives me nuts! Another one is when people spell the word, separate as seperate. I realize my life must be pretty good for me to dwell on such trivia. I taught English in China for six years and edited medical papers in Thailand for five years. The only people I’ve ever seen who can’t handle an apostrophe are native English speakers. The rules are so simple that it really shouldn’t be a problem. But oh, it is. A major pet peeve of mine is the incorrect use of quotation marks for emphasis on signs that say, “free” or “on sale.” I’m confused. Is the item not actually free or on sale? It makes my hair curl! My pet peeve? “Your” for “you’re” – arrgghh!! That drives me bats!! “Your” is always used for possession; “you’re’ is that pesky contraction “you are’ and I just don’t understand why that is so hard for people. Thanks for this great review. I got most of them correct before looking at the answers. Yay!! And what about “skillz” at the end of the Pet Peeves article above? Your first one is one I see on menus and signs all of the time, but this is another one: The thing is is that………. I hear very well educated people say it all of the time! It should be “The thing is, that……..
My biggest pet peeve is the use of good vs. well. It just grinds my gears when I hear these two words used incorrectly! I find myself constantly correctly others on this… something that is likely my husband’s pet peeve about me. Lol! I actually need a refresher on that one! It’s been a few years since school! I hate to hear someone say “It’s Jack and I’s turn to do the dishes.” or “Marty and I’s new car is bright blue.” I frequently hear young adults misuse the word I this way and it drives me crazy! The apostrophe mistakes always bother me, but I find myself much more peeved by people using lists that don’t work consistently throughout. I see this most often in bullet and number lists. For example, take the following. It drives me up the wall. The last two points make NO sense with the sentence…and yet there they sit. Don’t know if that’s actually grammatically incorrect, though. It just feels so very, very wrong. Uhh! That one gets me too! I’d say I have at LEAST two pet peeves: 1) improper use of their, there, and they’re; and 2) misuse of then and than…aarrgghh!